Hero moves to another new town, and while her sister Beatrice seems to be instantly popular, Hero finds it safer to keep quiet. When she is teased about her name, given to her by her Shakespeare-loving parents, Hero is even less interested in the famous playwright--until her next-door neighbor tells Hero about a missing diamond that may be hidden somewhere in her new house. This is an appealing mystery, and that's the initial draw for middle school readers. The book's strength is in its realistically created pre-teen characters, and their relationships with family members, sometimes heartless peers, and each other. One minor flawed exception is Hero's repeated tendency to ask Danny things about his mother, which she would probably be more likely to think than to voice. 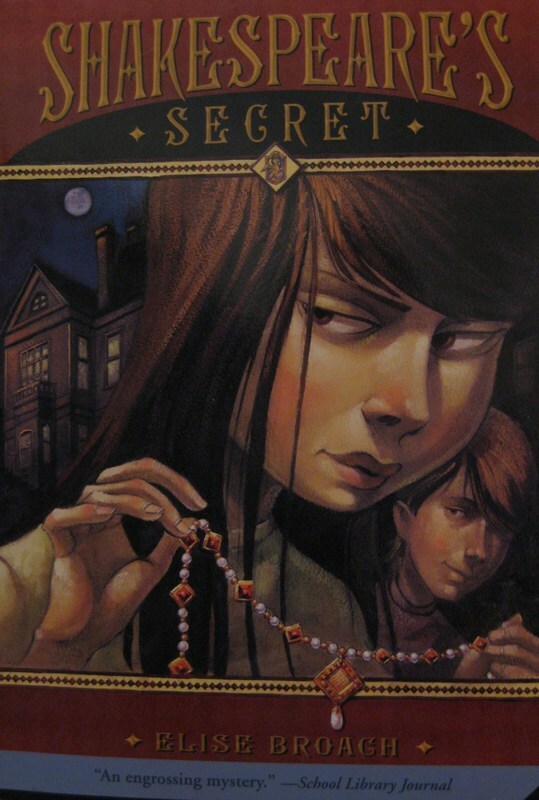 Masterpiece, by the same author, shares the premise that the kids are the ones solving a mystery drawn from history.